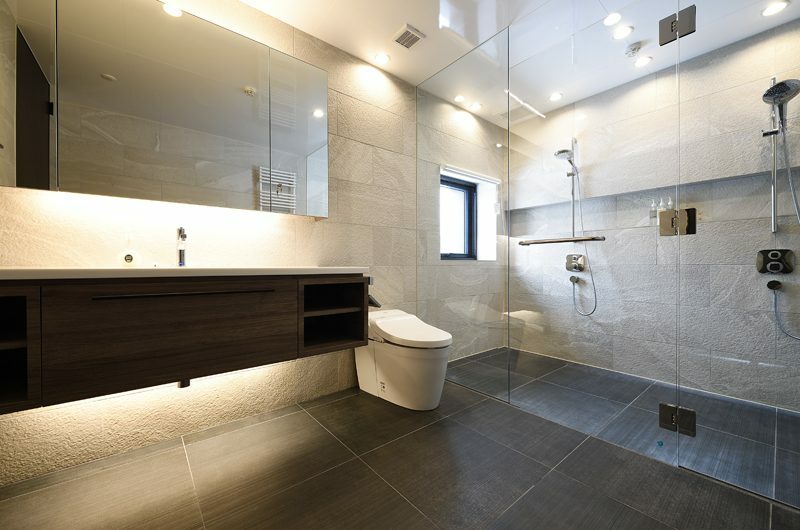 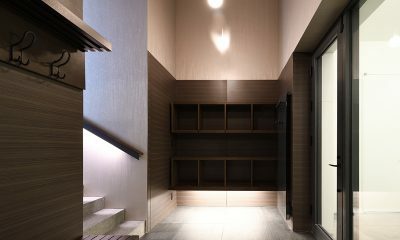 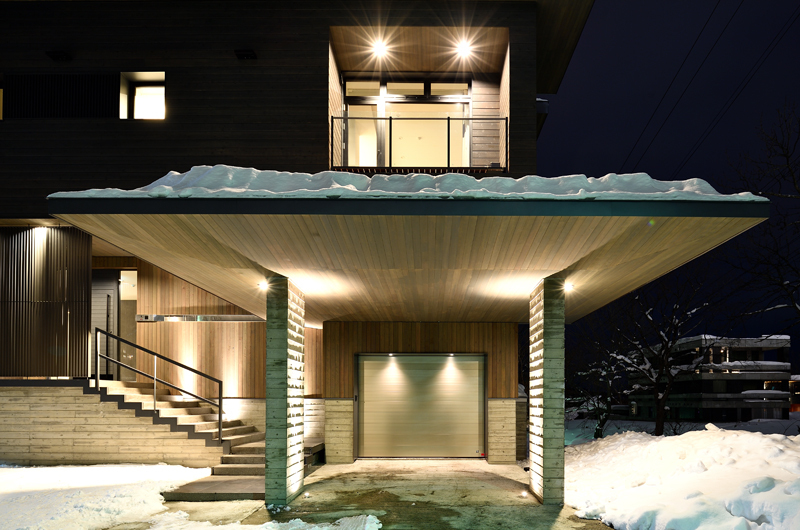 Jun is a sleek, stylish and spacious luxury chalet offering a peaceful and secluded location in Lower Hirafu Village. 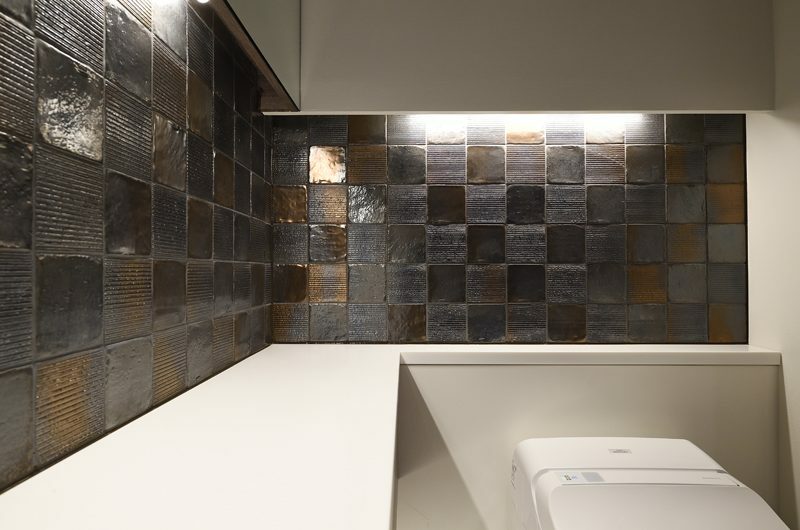 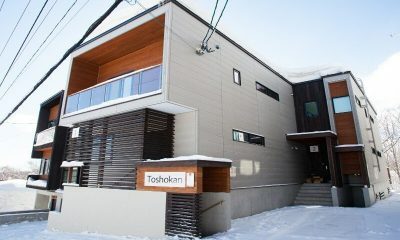 Jun offers a luxurious setting for an indulgent winter getaway in Niseko, Japan. 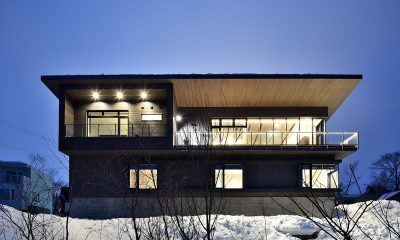 Tucked into a peaceful nook of Lower Hirafu Village, this magnificent six-bedroom chalet offers more than enough space for the whole family with a designated bunk room offering ideal accommodation for the kids. 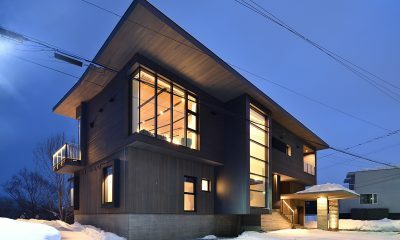 The floor-to-ceiling windows offer stunning views of Mount Yotei and the ski hill, while the designer fireplace will keep the whole family warm after a day out in the snow. 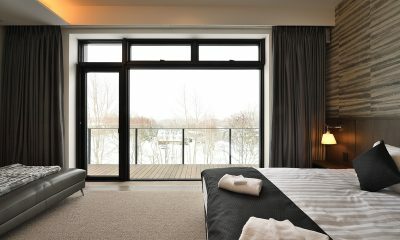 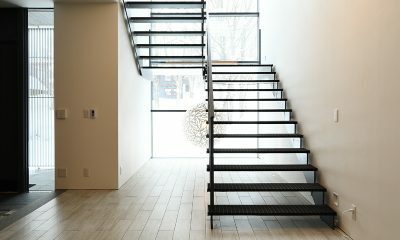 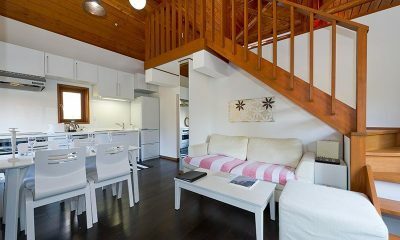 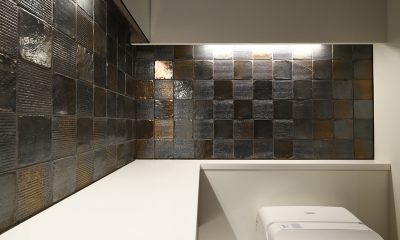 Jun is a streamlined and modern chalet which offers lavish space with living areas and bedrooms spread over two floors. 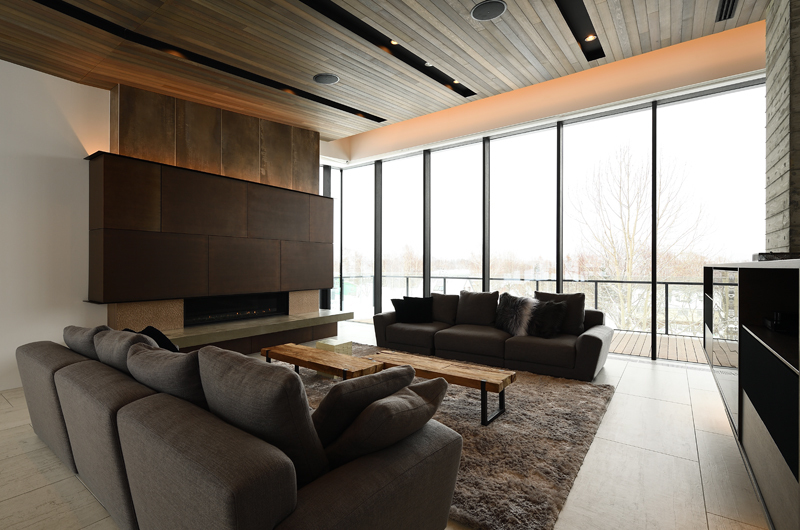 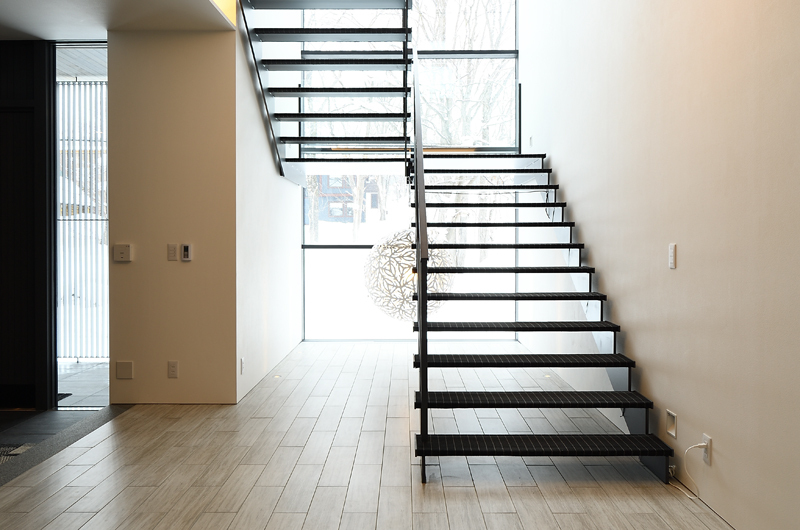 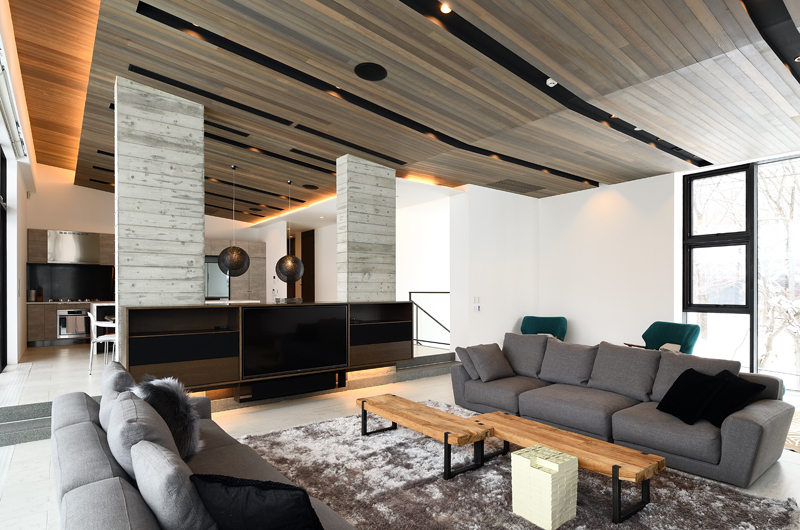 The overall look is sleek, but warm touches like the gas fireplace and plush carpeting give the space a cosy alpine feel. 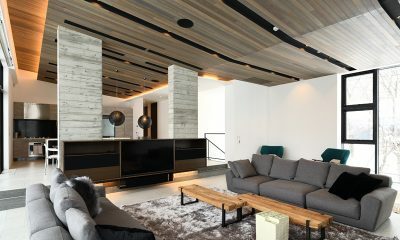 Jun’s living room is located on the chalet’s upper floor to maximise the views. 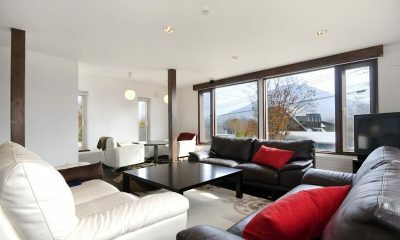 The room is furnished with two sofas centred around a gas fireplace. 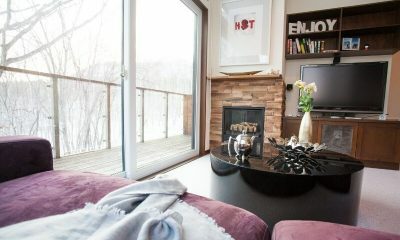 The room is lined with full-wall windows and in-chalet entertainment is provided by a 60-inch Apple TV. 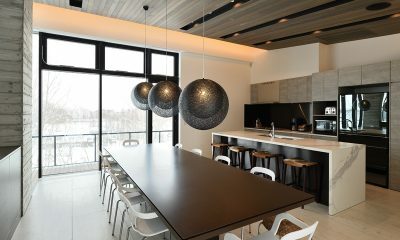 Located across from the living room, Jun’s long wooden dining table can seat 10 guests. 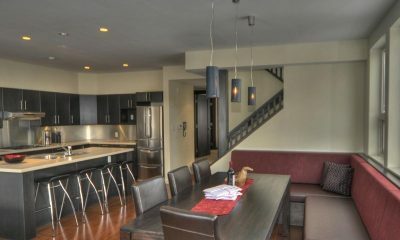 The same space includes a well-equipped kitchen with a breakfast bar and a walk-in pantry. 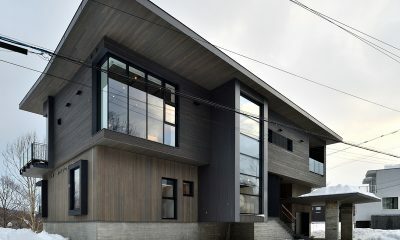 Jun has six bedrooms. 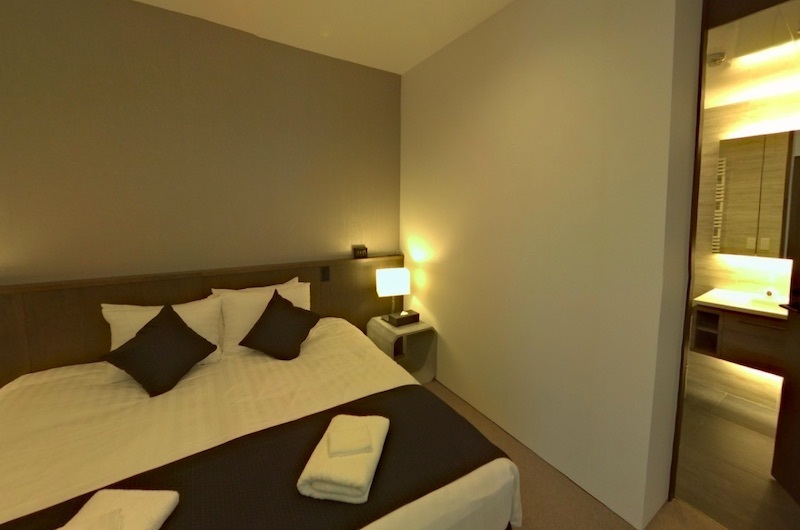 Three rooms have a split bed which can be set up as a king or two single beds as needed. 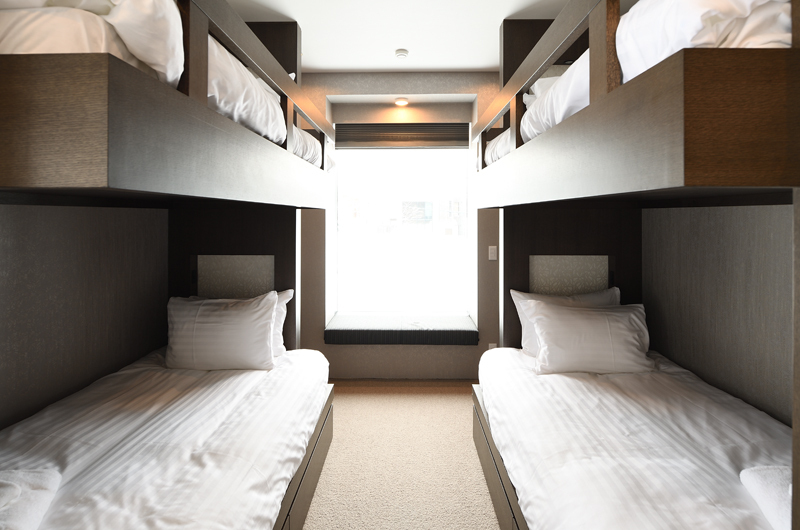 Two rooms have king-sized beds and one room has two sets of bunk beds. 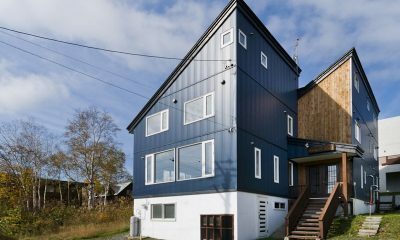 There are four bedrooms on the ground floor and two rooms up on the first floor. 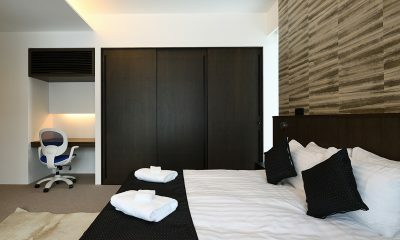 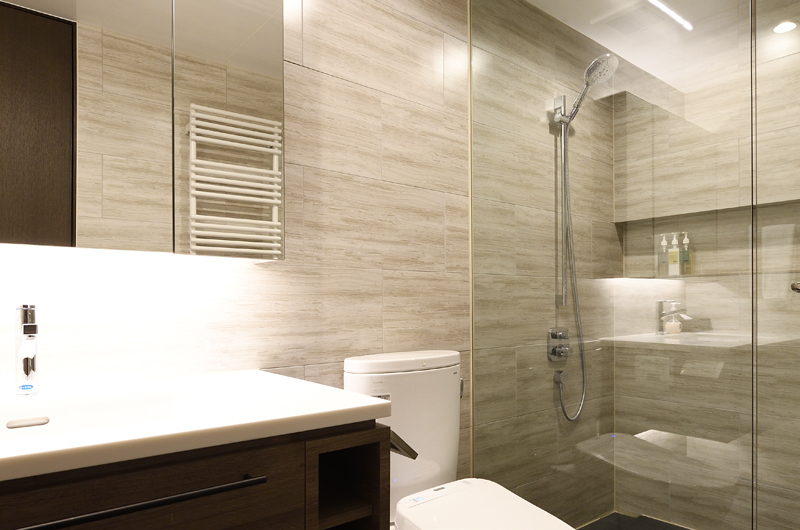 Located on the ground floor, the first bedroom has a split bed and an ensuite bathroom with a shower. 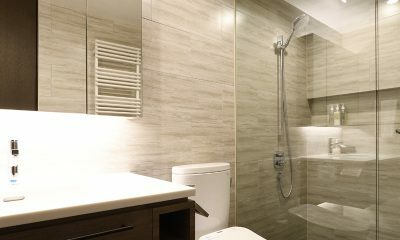 Located across the hall from bedroom one, the second bedroom has two sets of bunk beds and an ensuite bathroom with a bathtub and shower. 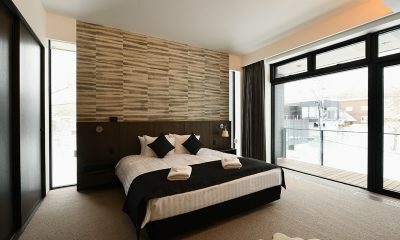 The third bedroom is also located on the ground floor and features a split bed and an ensuite bathroom with a shower. 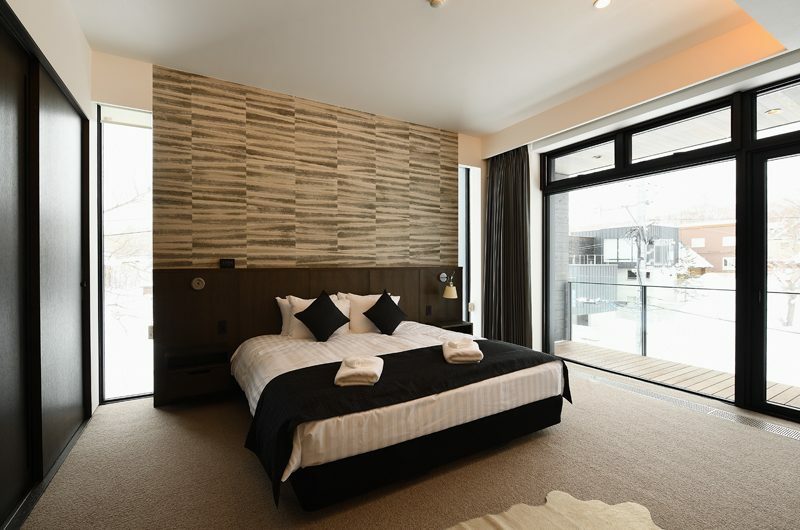 The fourth bedroom is also on the ground floor and features a king-sized bed (convertible into two singles) and an ensuite bathroom with a shower. 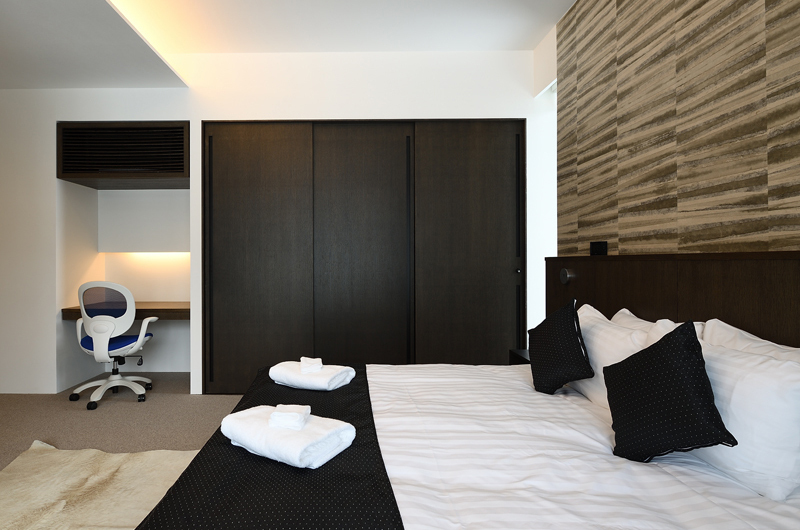 Located on the first floor, bedroom 5 is the first of two master bedrooms. 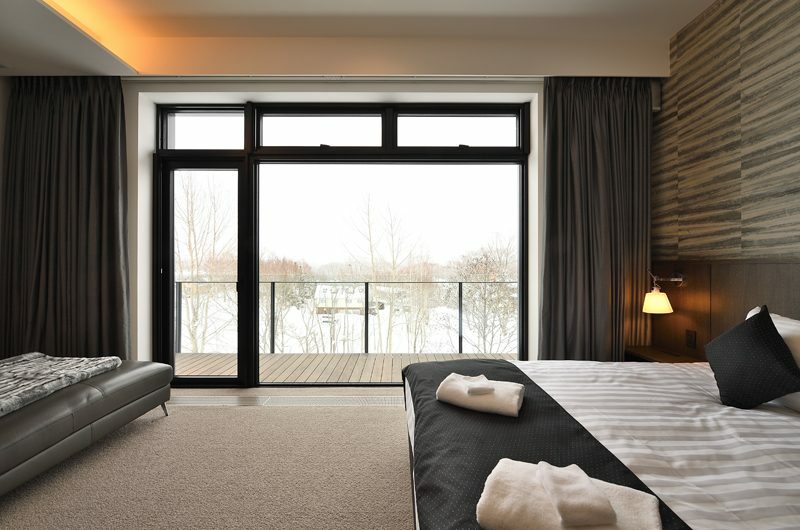 This room has a king-sized bed, balcony access and an ensuite bathroom with a shower. 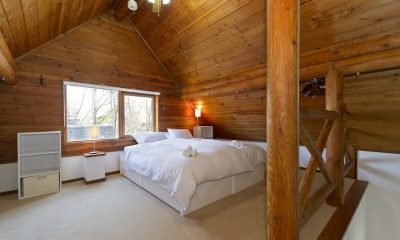 The sixth bedroom is the second master bedroom, also housed on the upper floor. 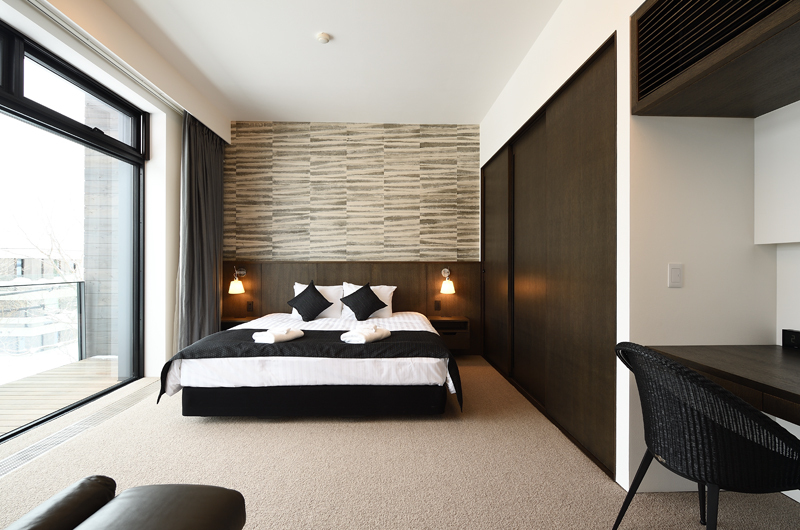 This room has a king-sized bed, balcony access and an ensuite bathroom with a shower. Jun is a six-bedroom chalet that’s built over two floors. 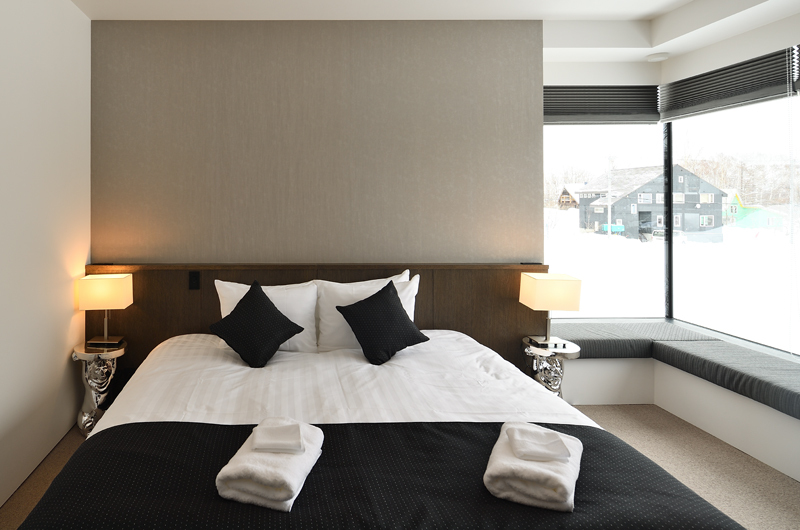 The ground floor houses four bedrooms as well as the dry room and laundry facilities. 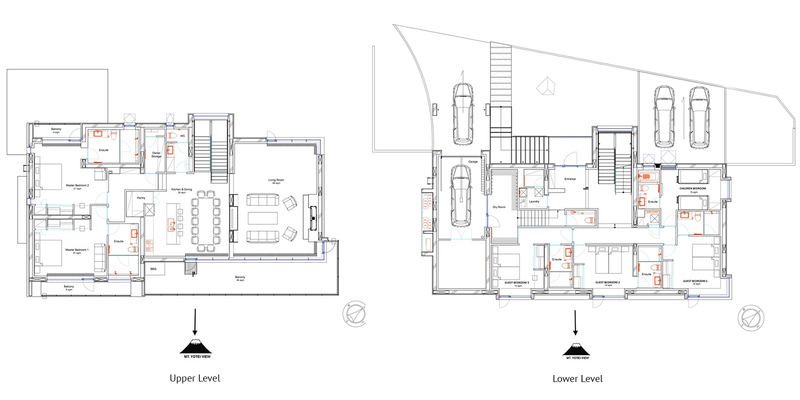 The upper floor houses two more bedrooms and the living and dining areas. 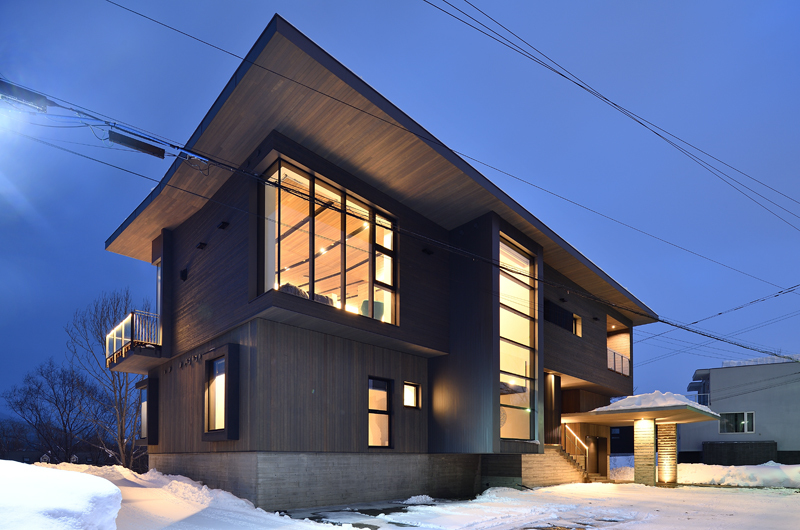 Jun is located in Lower Hirafu Village in Niseko, Japan. 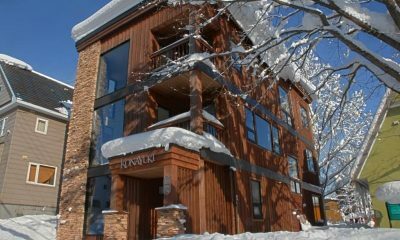 This is a peaceful location and you’ll find the closest ski shuttle stop within a five-minute walk. 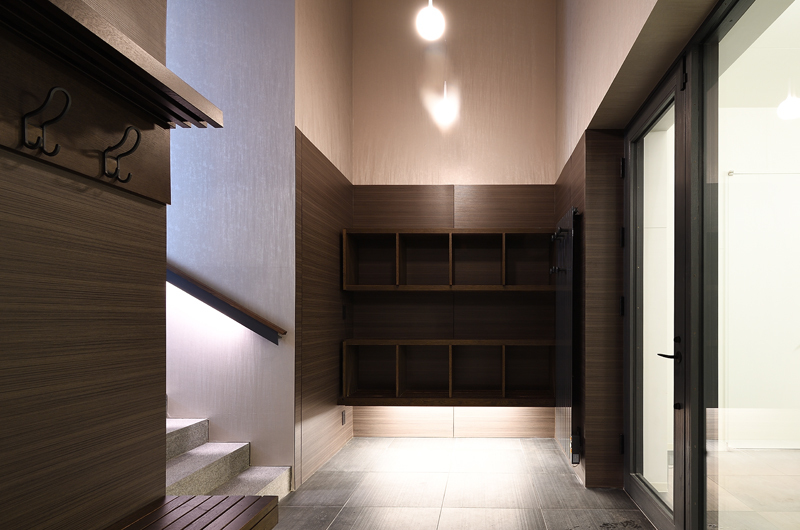 There are some great izakaya restaurants in the lower village, including Rin, Nagomi and Ebisutei. 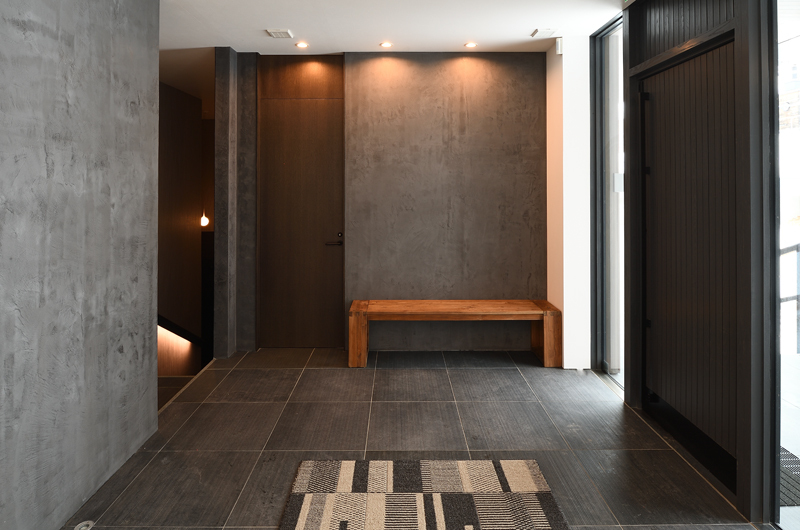 If you’re looking for more options, the dining options and nightlife of central Hirafu are about 10 minutes away on foot. 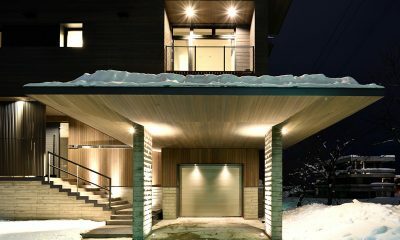 This is a 5 star chalet in Niseko. 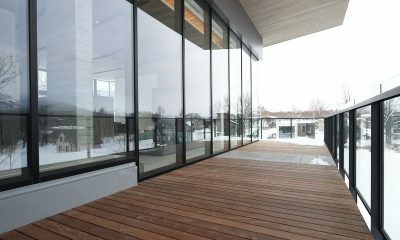 From the outside it’s just large but when you walk through the doors it’s huge and the design is very modern and feels so new. 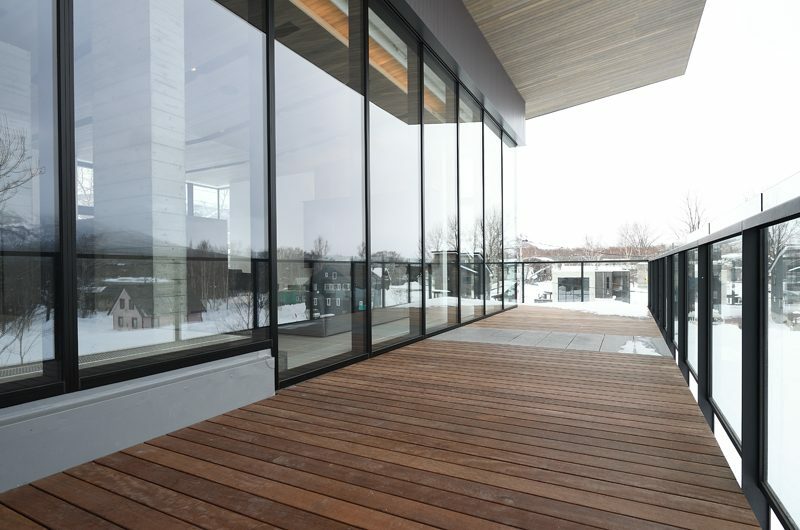 A fabulous chalet with incredible views. Perfect for large groups.